BEWARE of these 'LEVELED UP' hold-uppers! 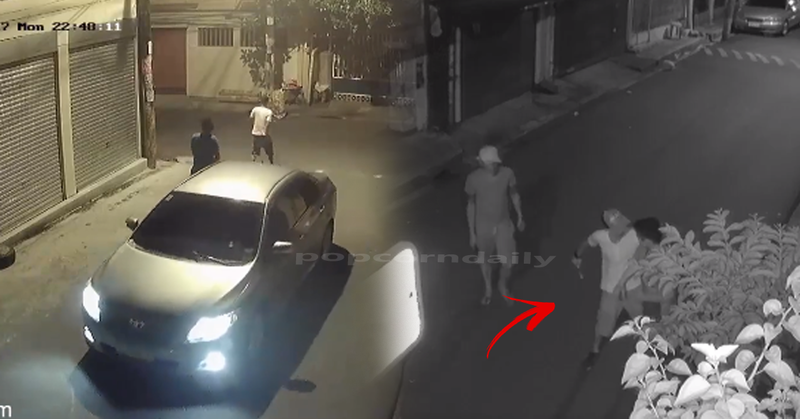 Hold-up incident caught on CCTV around San Juan City! "Change is coming" according to our current President, President Rodrigo Duterte. A lot of things happen and changed since our president sits in his position. But it's not just the government that changed, the style of the thieves and burglars also changed. Just like what happened in this viral video. 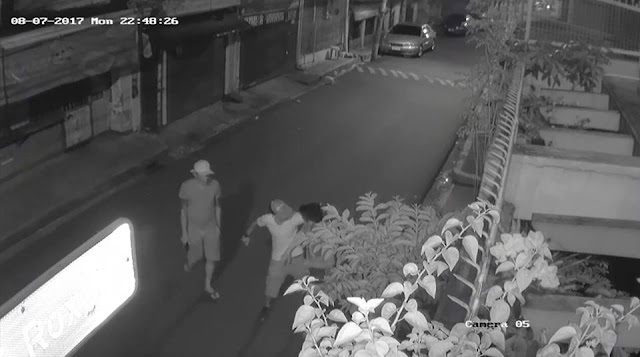 A video footage of a CCTV around F. Roxas St. 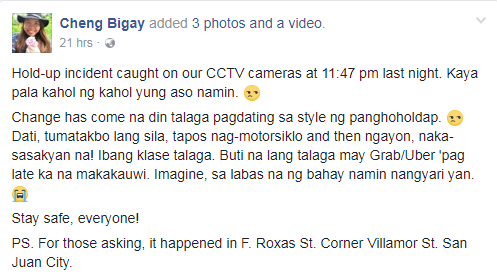 Corner Villamor St. San Juan City is making rounds all over social media today because of its content. A netizen posted this footage of their CCTV to warn the public that hold-uppers are now improving. 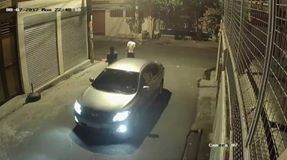 Before, we are all familiar that thieves always come as 'riding in tandem', riding a motorcycle, has helmet on, and their body is almost fully covered to hide their identity. But in these case, these two are different. 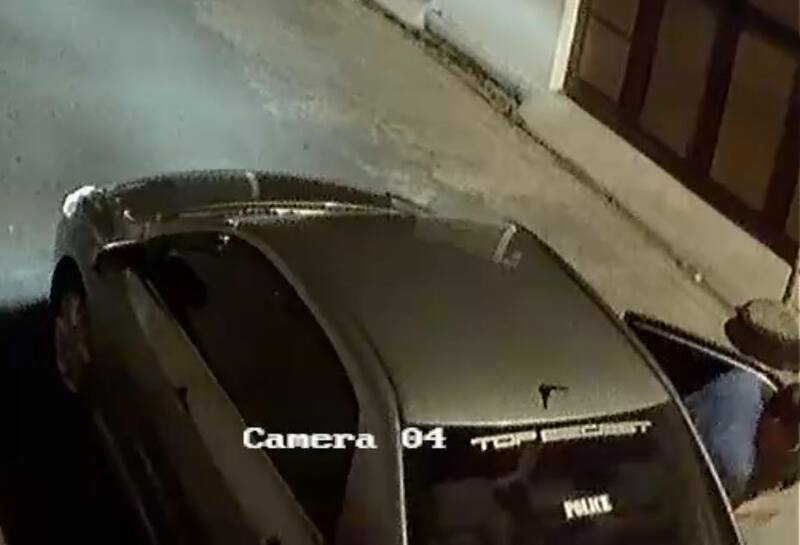 They came riding a car, has nothing to hide their identity.